Since November 11, in the Office of the Migration Service of Vinnytsia region (on Pirogov street, 4), and from November 14th (Teatralna str., 10) an electronic queue was introduced for processing documents with an electronic contactless carrier - a foreign passport. The first way is to register on the site of the LCA of Ukraine. 4. Date and time that suits you. To register on the website of the LCI of Ukraine, you need to provide the last four digits of the citizen's passport of Ukraine and the mobile phone number, which will receive the confirmation code and the number in the queue. Each day after 24:00 there is a new quota on the next day of registration. One telephone number has the possibility to reserve a queue no more than for four family members. When trying to break this rule, the phone number is blocked for access to the system. Each of them has a queue queue. You can register for a month in advance in the unit. The registrar must provide a document confirming your identity. The coupon is named for the queue. Therefore, if you come to register not only yourself but also your family, for example, a wife or a husband, children, you must have their documents and documents. 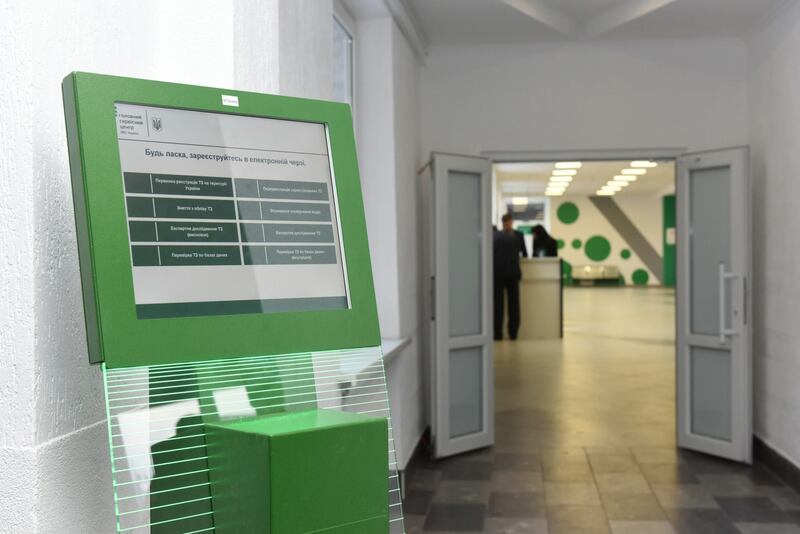 The Migration Service of the Vinnytsia region requests not to register in several departments at once. Respect the desire of others to get a new passport. Third way: Register on the day the service is received in the order of the current queue. Not all sign-ups through the site or terminal appear at a specific time. Therefore, on the day you choose, you can simply go to the unit and register in the "live queue" order to the place of the person who did not use the service. There are few such people, but they always exist. Make it simple. The unit contains a monitor, which highlights the order of the queue. Exemplified numbers are yours. However, registration in an electronic queue is mandatory. The queue is monitored exclusively by a staff member of the State Migration Service. Territorial bodies of LCA do not have any relation to the formation of the queue (that is, the UMSS in the Vinnytsia region is not affected by the formation of the queue). 2. If you are late for 2 minutes beyond a certain time, your queue is automatically canceled by the system and goes to those waiting for the service in the current queue. In case if there is a need for urgent production of a foreign passport for traveling abroad in connection with the need for treatment or burial of relatives, it is necessary to provide documents confirming this and apply with the relevant application to the Department of the LCA of Ukraine in the Vinnytsia region. Registration of such documents takes place in priority 3 working days. We remind that in regional services of the region, services for obtaining documents with electronic media, are currently provided in the order of the current queue. For reference. The electronic queue works in test mode only in several cities of Ukraine: Kiev, Lviv, Dnipro, Odessa, Kherson, Ternopil and Vinnitsa. The LCA of Ukraine reports that this is only the first step towards the introduction of such a service in all migration departments of the state.